The term refers to a row of shrubs and/or small trees that form a boundary. Typically farmers planted hedgerows to separate fields or define property lines and to keep livestock contained within the fields. Often the shrubs and trees were planted on raised ground that formed as a result of the clearing of a field or drainage ditch. Some 37 species of shrubs and trees are found in hedgerows supporting over 100 species of wild flora. Common shrubs include hawthorn and blackthorn as their prickly branches serve to deter livestock from leaving the field, and their berries provide food for wildlife. Because Ireland has so little natural woodland remaining, the hedgerows have become a critical habitat for a wide variety of insects, birds, and mammals. They also supply important services to agricultural activities by providing habitats for pollinators and predators of pest species, as well as preventing soil erosion and helping to sequester carbon. The hedgerows cover about 450,000 hectares (1.1 million acres) or 6.4% of the country. Laws in Ireland ban the cutting, burning or destruction of hedgerows from March 1st to August 31st as this is breeding season for the wildlife that depend on hedgerows for food and shelter. 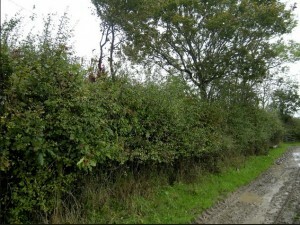 However, some cutting is allowed by local governments to avoid risks for traffic from thick hedgerows that impede visibility. But there is illegal cuttings from private individuals, and destruction from the building of one-off houses in the countryside and from modern farming practices that rely on larger fields to grow certain crops. How many bushes or trees does it take to make a hedgerow? What is the criteria for allowing cutting of hedgerows during the breeding season? 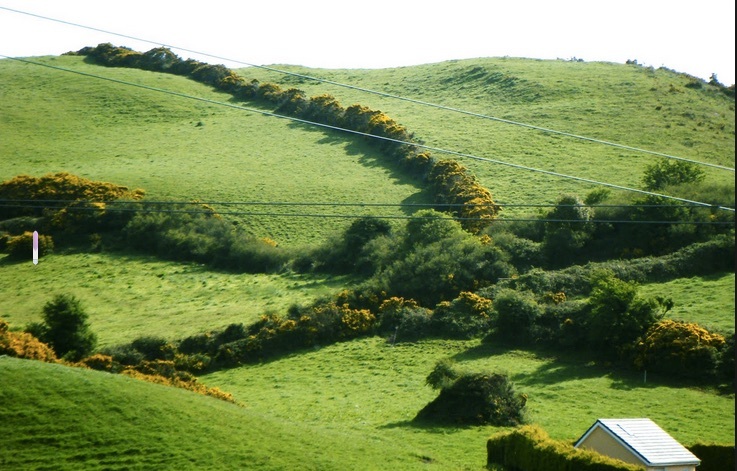 Are new hedgerows still planted in the countryside of Ireland and Northern Ireland? If so, to what extent? If not, why not?